vScope 3.3 introduces completely new information related to backup and also improves existing functionality. All to help you collect the information you need in one place. New product – vScope Backup! Introducing Veeam Backup in vScope, allowing organizations to keep their data safe by providing a better overview of all backup jobs including status, configurations, duration, options and much more. vScope aggregates all relevant information in one view and lets you build reports about backup without any prerequisites required. The neat thing with using vScope Backup is that you can connect backup information with all of your existing vScope data. 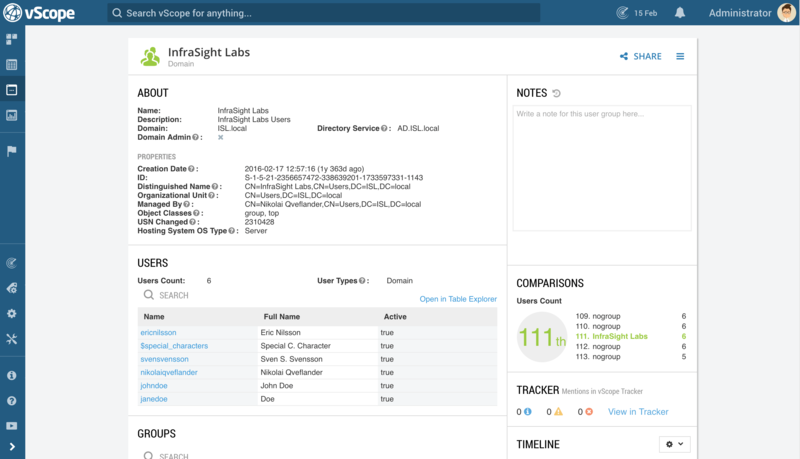 This allows you for instance to trace information from VMs and databases to storage and backup. The functionality is licensed in the product vScope Backup and is available as a trial for any organization running vScope. 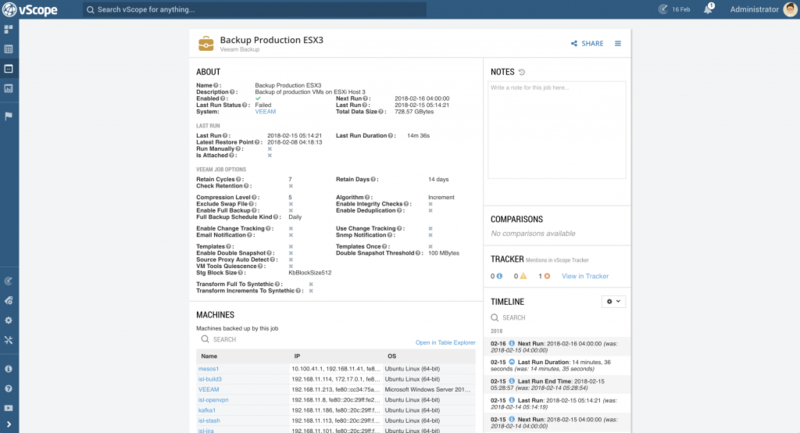 Learn more about vScope Backup and get started at the vScope Backup – Product page. One often requested feature, a properties page for user groups that makes it easy for you to overview settings and configurations, is here. 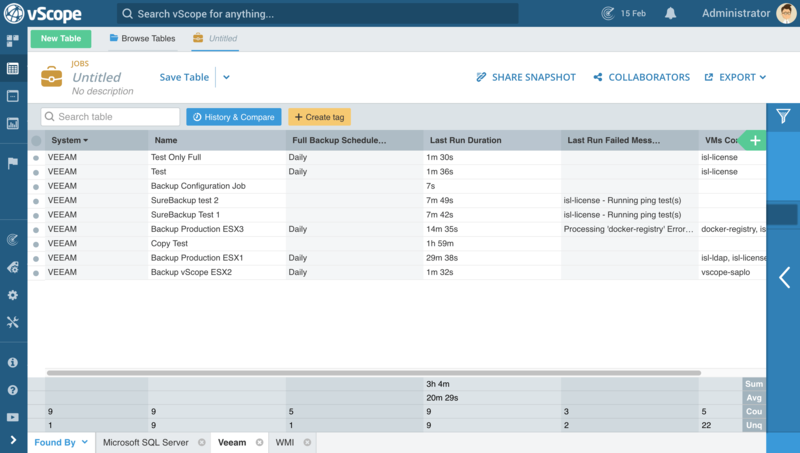 Investigate group size, users, nested group settings, creation dates and much more from the page that is available in vScope 3.3. In order to view the User group page you a subscription of vScope Directory is required. Filter all applications that has a version number lower than for instance 2.8.3 is tricky but very important when you need to build reports about eg. impact of applications vulnerabilities. vScope 3.3 includes smarter filter functionality that allows you to more easily build Tracker cases and analysis about applications and operating systems.